Bell's palsy is a health condition in which the muscles on one side of the face paralyze or weaken. It is caused by damage to facial nerves that regulate facial muscles. This causes one side of the face to droop. This nervous breakdown in the face may also affect your sense of taste as well as the process that produces saliva and tears. In most cases, the condition manifests immediately, more often than not overnight. However, the symptoms disappear on their own within a few weeks. 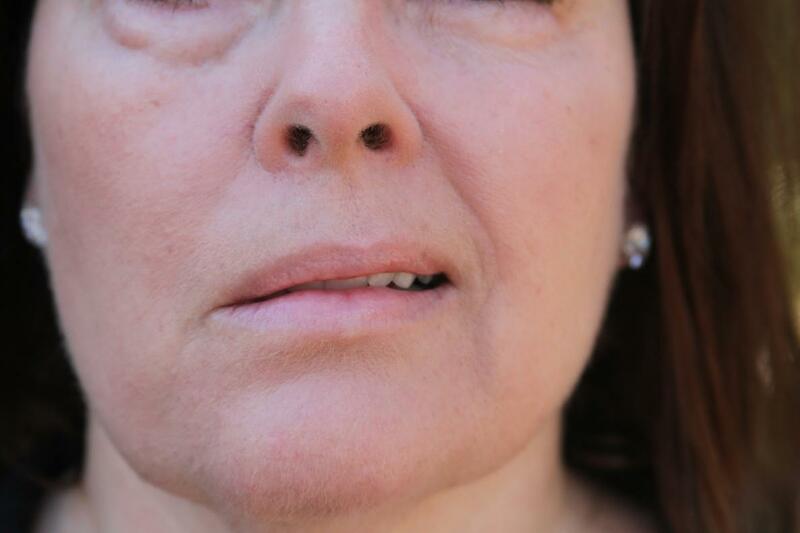 Basically, this condition is characterized by drooping of the skin on one side of the face. Symptoms of the condition appear rapidly and may be felt while walking, eating or drinking. Normally, the symptoms of bell palsy will manifest after other infections, such as ear infection, eye infection or cold. In most cases, the patient is not capable of regulating the closing and opening of the eye on the affected side of the face. In more advanced cases, the condition may affect both sided of the face. If you experience any of these symptoms, it is advisable to seek medical attention from a qualified medical practitioner. Self diagnosis is not advised as symptoms of Bell's palsy are similar to those of other conditions like Lyme disease, cranial tumor and stroke. In most cases, this condition is associated with a viral infection, including herpes and influenza. Additionally, the condition may also be as a result of other infections, including Lyme disease. However, not all the patients of these viral infections or Lyme disease contract this condition; only a few do. After such infections, the immune system responds to the infection. This leads to the inflammation of the nerve. Consequentially, the nerve is compressed because it goes through a small opening in the skull. This results into Bell's palsy. Although the condition may affect people across all age groups, it mostly affects adults, pregnant women and diabetes patients. Basically, there are various ways in which a doctor can diagnose this condition. To begin with, the doctor will review the symptoms and your medical history. Additionally, the doctor may ask you a few questions, regarding the condition, and even administer a neurological and physical exam to evaluate the functioning of the facial nerve. At this point, the doctor is able to detect other conditions, other than Bell's palsy, that may be causing the facial paralysis. Other conditions that may cause the face to paralyze include stroke, certain tumors, injury/trauma, infection and Lyme disease. If the cause is not clear yet, the doctor may refer you to a specialist or carry out extensive tests on you, including blood tests, CT scans and MRI. It is true that Bell's palsy may go away on its own, but treatment can help to speed up the recovery process. After diagnosis, one of the most recommended prescription is the steroid tablets. In this regard, the Prednisolone is the commonly used tablet to reduce inflammation. In the past, the use of steroid medications for this condition were controversial. However, studies have revealed that a short course of Steroids, up to 10 days, helps in recovery. Taking such short courses of the steroids increases the chances of full recovery from this condition and has minimal side effects. It is advisable to start this treatment as soon as possible after the symptoms manifest, probably within the first 72 hours. In most cases, this condition is caused by a viral infection. Therefore, using antiviral medicines can help in alleviating the symptoms. Some of these medications may be used to prevent the cold sore virus and the chickenpox virus from multiplying. However, various studies have revealed that using these medications alone may not improve Bell's palsy. As such, it is advisable to combine the antiviral medication with a 10 day course steroid medication for better results. Alternatively, you may also tape the lower and the upper lids of the affected eye before going to sleep. As the muscles begin to recover from the symptoms of this condition, exercising will help in strengthening them. Some of the exercises that are commonly used to work out these muscles include relaxing and tightening them regularly. Additionally, it is also important that you regularly massage the cheeks, lips and forehead with a cream or oils to hasten the recovery process. This condition may affect one side of your mouth leading to a loss of senses as well as saliva on the affected part of the mouth which may cause food to get stuck in that part of the mouth. This may in turn lead to tooth decay or even gum disease. Therefore, it is important to floss and brush your mouth thoroughly and frequently if you are suffering from this condition. To avoid the swallowing problems associated with Bell's palsy, it is advisable to chew your food well and eat slowly. Additionally, you should also eat smooth and soft foods.